Russian Orthodox Church leaders have announced that the church is effectively cutting ties with the historical seat of Eastern Orthodox Christianity, the Patriarchate of Constantinople, the seat of the global spiritual leader for 300 million Orthodox worshippers. Such move could pave the way for a major crisis in the global Orthodox Church. The split is a reaction by the Russian Church to the Constantinople Patriarchate’s decision last week to permit Ukraine to establish an independent church, which will no longer fall under the authority of the Moscow Patriarchate. It was a move Russia has long been opposing. Last week’s decision by Constantinople marks the end of more than 300 years of Moscow’s control over Orthodox churches in Ukraine. It is expected to affect millions of believers in Russia and Ukraine. The rupture also comes amid strong political tensions with Ukraine seen battling a Moscow-backed uprising in its east. The quest for Ukrainian Orthodox independence became more pronounced in 2014 after Russia annexed Crimea and Russia-backed separatists captured a big swathe of territory in eastern Ukraine. 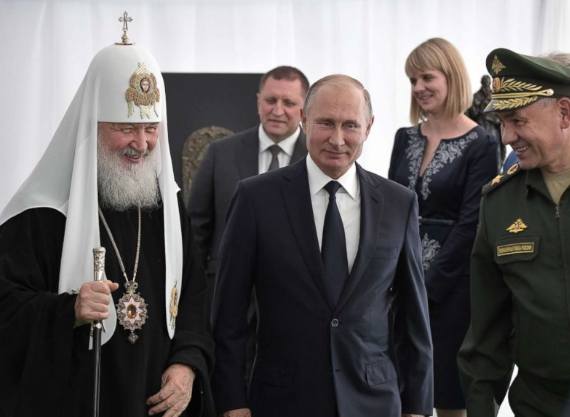 The move is also seen by some experts as creating “two warring Orthodox worlds.” Some see the split as “one of the darkest days” in Orthodox history. In effect, too, Russians would no longer be able to go and hold their prayers at Mount Athos in Greece, a major religious destination for pilgrims that is under the jurisdiction of Constantinople. The president of Ukraine and lawmakers have supported independence for the country’s presently divided Orthodox Church and view it as a striking a blow against Moscow’s influence in Ukraine. There will be a lot of sudden Church Leadership positions opening up in the next year.